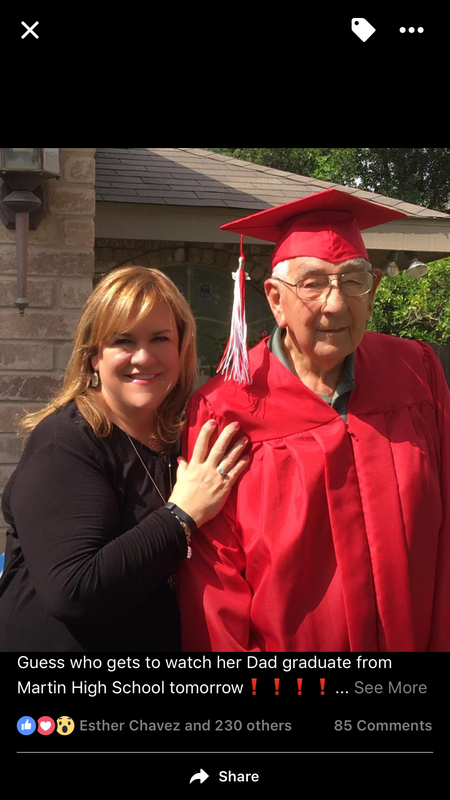 Class of 1944 graduate of Martin High School-Laredo, Texas was drafted at 17 years old to WWII. He never got to walk the stage at graduation. Tonight, 72 years later, he will be walking as a Tiger Graduate, along with the Class of 2016. A true inspiration and example of never giving up!